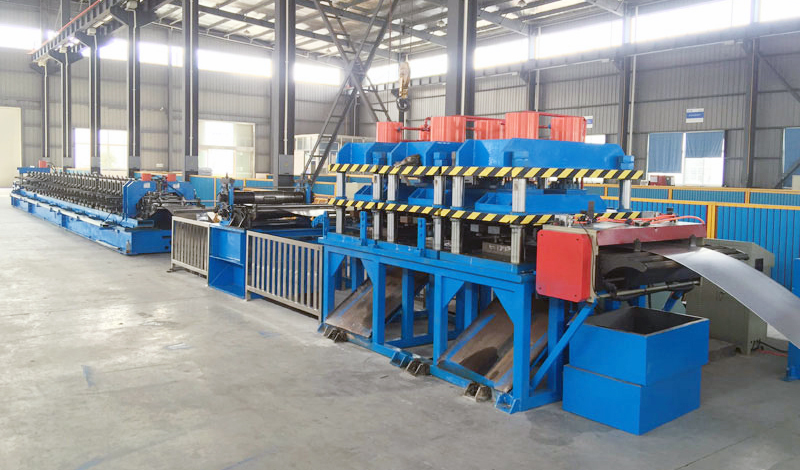 Cable tray roll forming machine, which consists of uncoiler, hydraulic punching and cutting and width adjustable roll forming system, our cable tray roll forming machine is used to produce building use cable tray with thickness from 1mm to 2mm. The product width usually is 100mm-600mm with height 50-100mm and width 600-900mm with height 50mm. Width is automatically adjusted.